Orb Audio just announced the launch of a new line of speaker systems to mark the company's 10-year anniversary. These systems feature the newly designed Mod1X, Mod2X and Mod4X speakers and two new compact subwoofer models - subMINI and subONE. Orb Audio's distinctive spherical speakers have been upgraded with an all new aluminum driver that reportedly delivers improved midrange and high frequency performance and provides higher power handling capabilities. Orb speakers are unique because they are modular. Audiophiles can customize each speaker to consist of one, two or four Orbs (Mod1X, Mod2X and Mod4X), depending on their budget and sound requirements, and the system can be reconfigured at any time. Customers moving the system to a bigger room can add an additional Orb to some or all of their speakers for more output. Likewise, customers on a tight budget can start with an affordable audiophile system and build it up over time. All speakers are constructed with American carbon steel and are available in a Metallic Black and Pearl White powder coated finishes, as well as optional Hammered Earth, Hand Antiqued Copper, Hand Antiqued Bronze and Hand Polished Steel. Orb Audio is also introducing two redesigned subwoofer models: subONE and subMINI. The subONE features a new 200-watt amplifier in a cabinet smaller than 12 inches on each side. The subONE also features new anti-clipping and thermal overload circuits as well as auto-voltage sensing technology so that it can be used anywhere in the world. The subMINI is an ultra-compact subwoofer and features a 100-watt amplifier in a nine-inch cabinet. The subMINI also features a dual port design. Both the subONE and subMINI are available with wireless options. A 5.1 channel home theater system featuring the new speakers and subwoofers starts at $889. 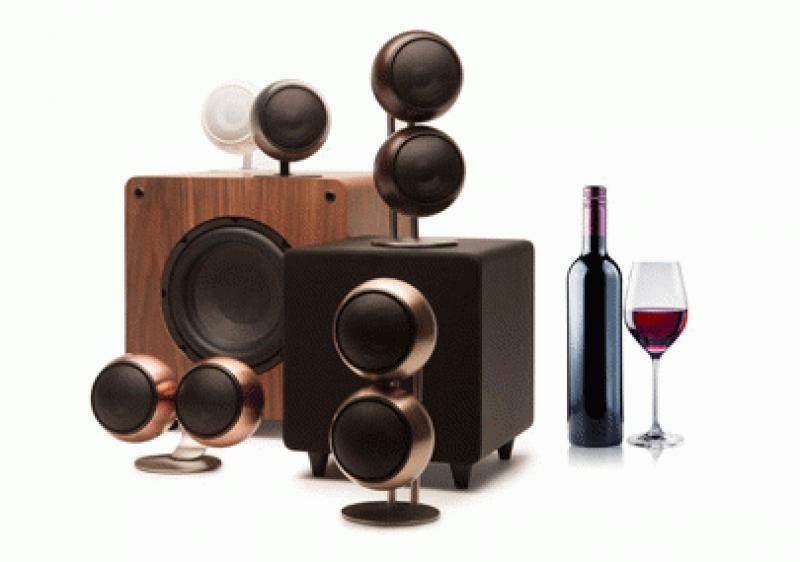 Redesigned stereo speaker and mini amplifier packages are also available and range from $249 - $488 to fit all living space and sound requirements. They are available now at www.orbaudio.com. These are the first new speakers released by Orb Audio since the company began selling audio systems in 2003. Orb is also offering a trade in program for existing customers.